This is another wonderful recipe from Marco and Fabio from Jessie’s Bar and I am making it for lunch today. We had it as a first course during the Accademia Della Cucina Italiana dinner last week. Fabio tells me that Pici were traditionally served with a stew of wild boar but I am using a good quality beef. 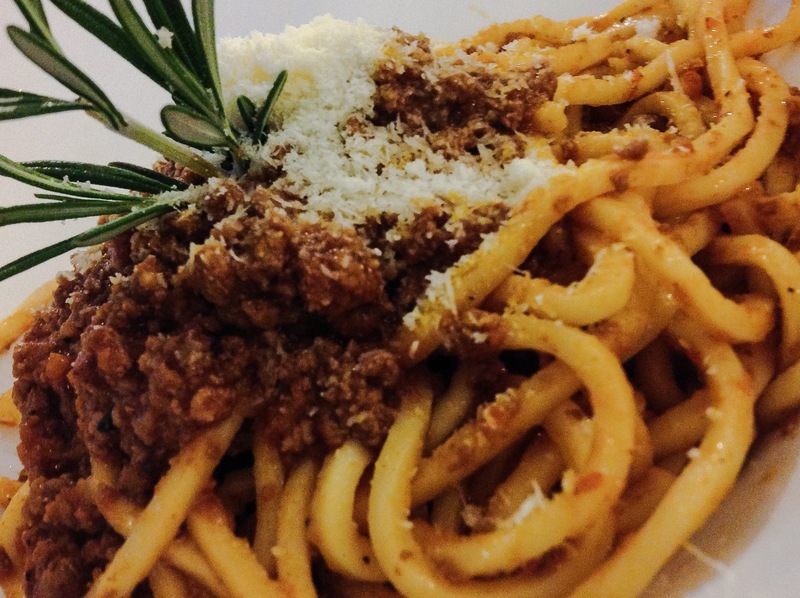 If you are too busy to make the Pici, use a thick spaghetti and the delicious Ragu sauce….. Mix 500g flour + 400ml water + 2 spoons olive oil to make a smooth but not wet dough. Cook the pici in a very large pot with lots of water and a tablespoon of thick sea salt. Pass all the vegetables through a blender and put them in a pot with some olive oil. Do not puree, you still need texture. Fry to a light golden colour, then add the mince meat and lightly brown. Add the red wine and let it reduce for 10 minutes . Add the tomato puree and 2/3 glasses of the vegetable broth. Season and cook slowly for 1 1/2 hours. Leave it to rest overnight. Heat up and toss it with Pici. Serve with freshly grated Parmegiano Regiano. 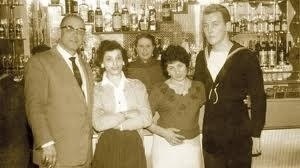 And here is a picture of the old Jessie’s Bar as it used to be before they were serving today’s wonderful Pici ! A haunt for the British military during and after the Second World War, it is for me an iconic landmark on the island… A place with a history that I hope will not be eclipsed completely and loose its charm. I very much hope that it will retain some traces of its former identity …. This made me hungry and it’s 9:45 AM…too early for pasta. Yes Jovina, it is wholesome, hearty good food, thanks for your following ! A beautiful piece of history only could be written by you. 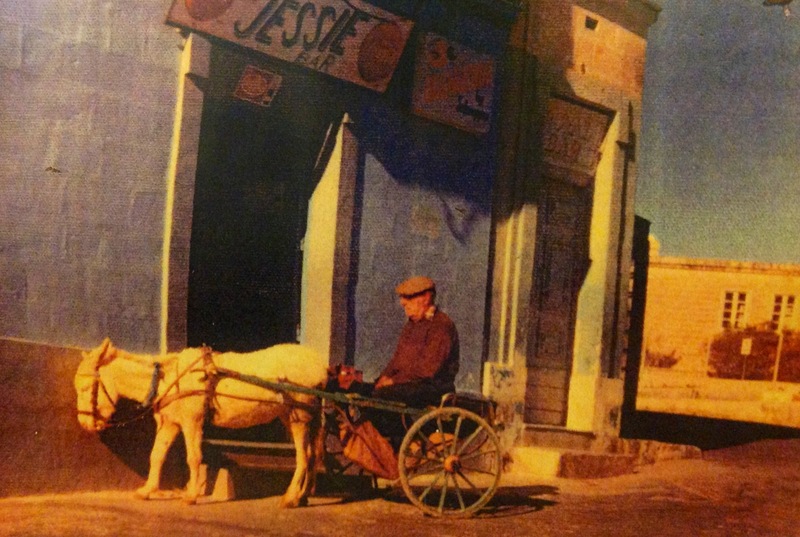 The recipe stands out more because of the nostalgic story that comes with it. The painting and the contemporary photo enriched the story, definitely.